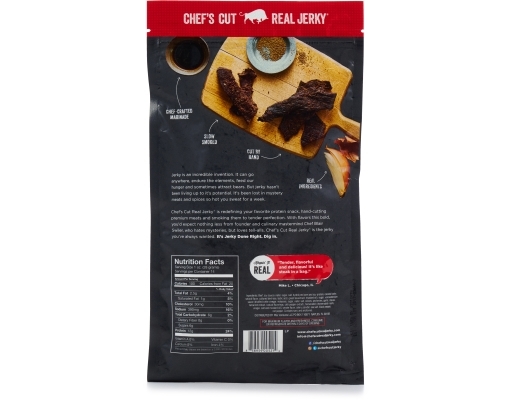 Jerky is an incredible invention. It can go anywhere, endure the elements, feed your hunger and sometimes attract bears. But jerky hasn’t been living up to its potential. It’s been lost in mystery meats and spices so hot you sweat for a week. 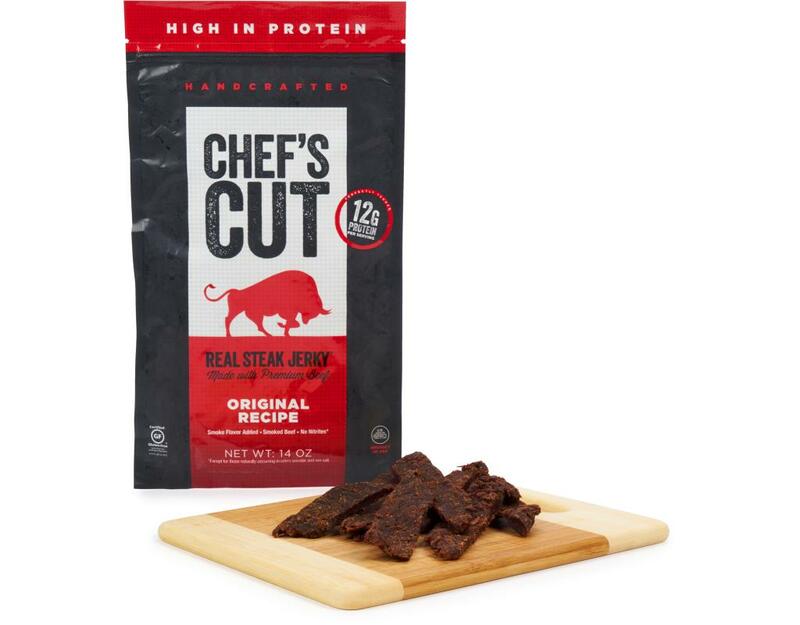 Chef’s Cut Real Jerky is redefining your favorite protein snack, hand-cutting premium meats and smoking them to tender perfection. 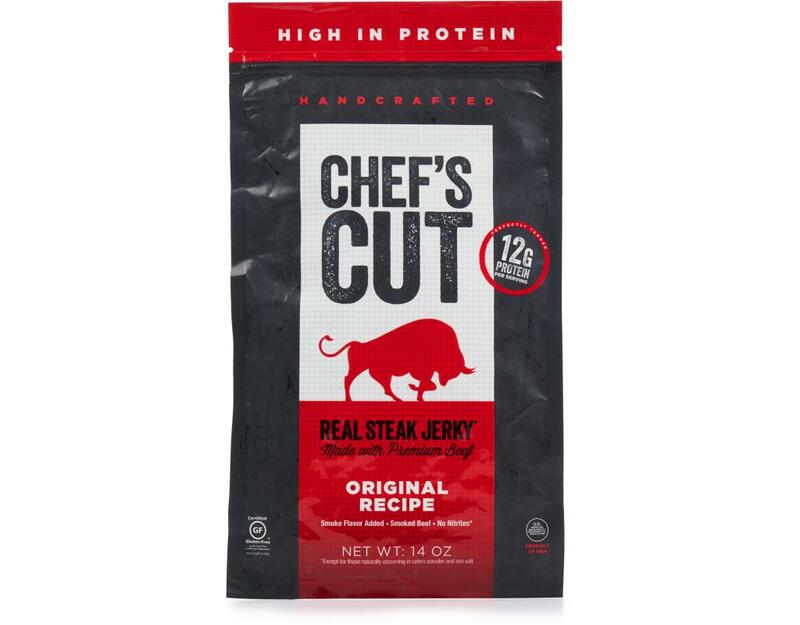 With flavors this bold, you’d expect nothing less from founder and culinary mastermind Chef Blair Swiler, who hates mysteries, but loves tell-alls. Chef’s Cut Real Jerky is the jerky you’ve always wanted. It’s Jerky Done Right. Dig In. 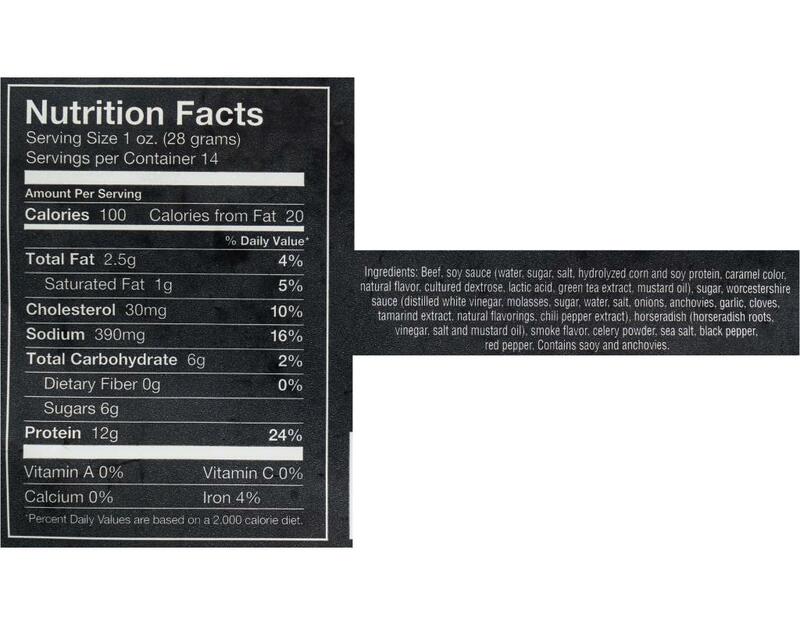 Beef, Soy Sauce (Water, Sugar, Salt, Hydrolyzed Corn And Soy Protein, Caramel Color, Natural Flavor, Cultured Dextrose, Lactic Acid, Green Tea Extract, Mustard Oil), Sugar, Worcestershire Sauce (Distilled White Vinegar, Molasses, Sugar, Water, Salt, Onions, Anchovies, Garlic, Cloves, Tamarind Extract, Natural Flavorings, Chili Pepper Extract), Horseradish (Horseradish Roots, Vinegar, Salt And Mustard Oil), Smoke Flavor, Celery Powder, Sea Salt, Black Pepper, Red Pepper.